Durable silver chain, designed in a corporate style of our store. On our website you can purchase a wide variety of pendants and charms as well as a wolf pendant or other jewelry. When we send our products, we take care that the customers receive everything they need, so together with all pendants comes a strong lace. However, our clients often want to replace it with something more elegant and precious like Viking Chain with Wolf Tips Sterling Silver Handmade Norse Jewelry. Viking Chain with Wolf Tips Sterling Silver Handmade Norse Jewelry viking-workshop – is a bright chain created with an ancient method of weaving. It is absolutely handmade and as a result considered to be even more valuable. What is more, the design of the chain is developed by the specialists of our workshop, so you won’t find the similar accessory in any other store. We deliver our goods around the world with nice bonus! 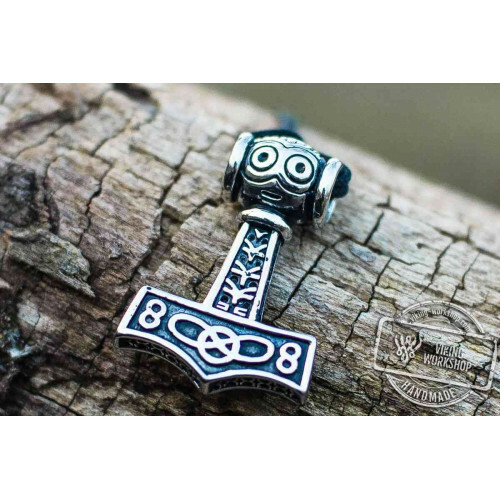 Every customer who decides to buy Viking Chain with Wolf Tips Sterling Silver Handmade Norse Jewelry will find CD with best Scandinavian folk songs. It is an excellent collection of music that will help you to relax while you are driving a car or just staying at home after a hard day. Every order also comes with a branded box where you can keep the jewelry or give it as a present to a dear person. Want to find more jewelry for your private collection or a present for someone you love? 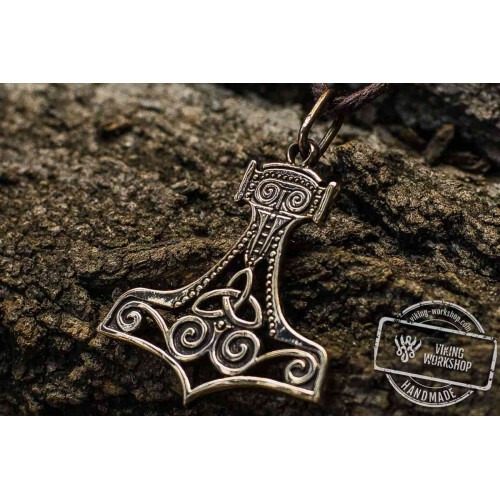 Then pay attention to viking helmet ring, unique thor’s hammer pendant and other jewelry in our catalogues!